The Nancy and Ted Paup CASETA Research Initiative Award - to be presented to an eligible upper level undergraduate or graduate student from the states of Texas, Colorado, Louisiana, New Mexico and Oklahoma in History, Art History, Education, or other related fields to pursue original academic research related to the history of early Texas art and artists. Curatorial staff at any art museum located in Texas and independent curators/researchers working on projects related to early Texas art are also eligiable to apply. This award carries a monetary award. In the fall and spring semesters and the summer session of the academic year a detailed proposal is sent from CASETA to art departments at Texas, Colorado, Louisiana, New Mexico, and Oklahoma universities; university libraries; curators at Texas art museums; and any interested independent curators or researchers. There is a rolling deadline and submissions are accepted any time of year. All proposals are reviewed by the CASETA Research Awards Review Committee. Anyone submitting a proposal are notified within two weeks if they have been chosen for an award. Monetary awards are mailed wtihin a reasonable time after notification. Award winners also receive a complimentary CASETA membership and registration to the next CASETA Symposium. Criteria: Promote and reward original research on early Texas art and artists by young and emerging scholarship in public and private institutions of higher learning in Texas,Colorado, Louisiana, and New Mexico, as well as curators in Texas art museums, and independent curators/researchers. Promote the development of curriculum materials related to early Texas art and artists for use in public schools throughout the State of Texas. Contribute to the literature on early Texas art and artists. Rae Pleasant was awarded the Nancy and Ted Paup CASETA Research Initiative Award, “for her project to transcribe the Tyler, Texas Black Film Collection that is part of the G. William Jones Film and Video Collection, Hamon Arts Library at Southern Methodist University in Dallas. The transcriptions will be put in bound books and disseminated to relevant repositories such as libraries, universities, and museums. This project received support from the Nancy and Ted Paup CASETA Research Initiative which includes CASETA donor funds. Ms. Pleasant will also produce a five page research paper on African American film and cultural history and in particular examining the ways African American Vernacular English, which weaves through the TTBFC films, is crucial to this understanding. The Sculptures of Elisabet Ney, which will be submitted for publication in a scholarly journal. to be shown at the Museum of the Southwest in Midland, Texas, July through September, 2017.
art in West Texas since the 1970s. Thesis examines the Catalogue of the Exhibition of Art of the Americas: Pre-Columbian and Contemporary, which stems from the Greater Texas and Pan-American Exposition held in Dallas, Texas in 1937. 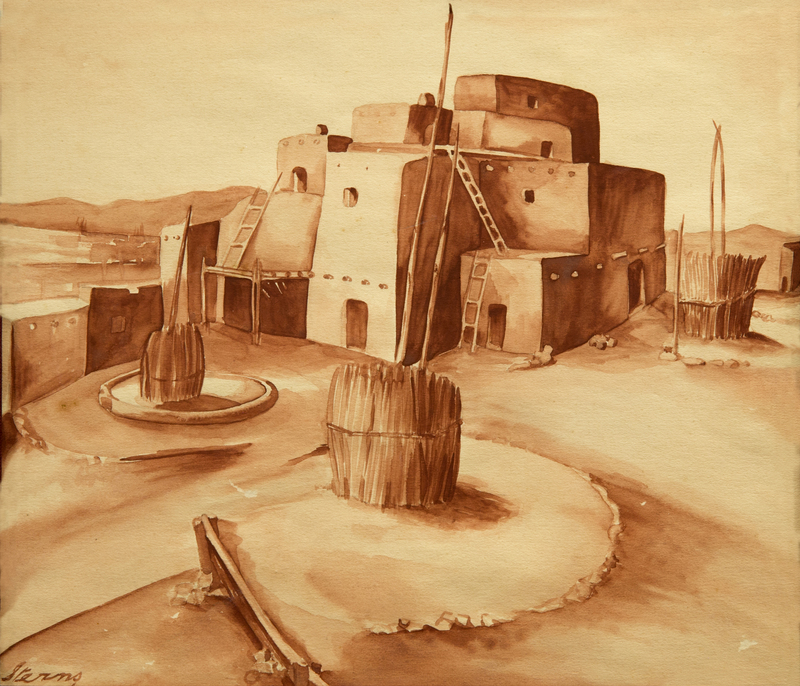 Dissertation examines the iconic El Paso artist, whose prolific career began in the1940s and included paintings, drawings and sculptures depicting people on the U.S.-Mexico border. Research project examining the State of Texas Building within Fair Park as a functioning monumental object in hopes of illustrating Texas identity through visual analysis and historical memory.